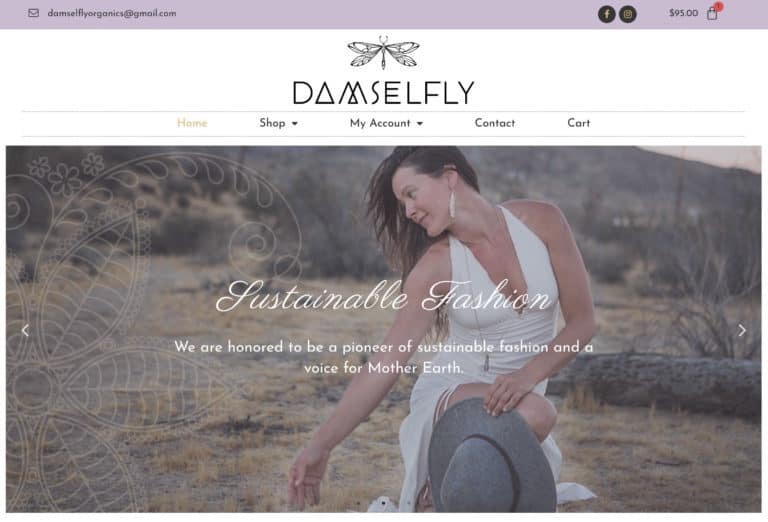 Damselfly Organics is a beautiful clothing line that needed a major overhaul to their site. With a small budget, I was hired to do whatever I could as fast as possible to make it look better. I redesigned the layout of the whole site, fixed some shopping cart layout issues, helped her rebrand her colors and fonts, designed a couple homepage banner graphics, and redesigned the site header and homepage.